This bridge was originally known as the Wellesley Bridge. It was completed in 1835. The bridge consists of five large elliptical arches. Once a swivel bridge that could open allowing large vessels to pass into the upper quays such as Arthur’s quay this function is no longer in use although the mechanisms can still be seen under the bridge. 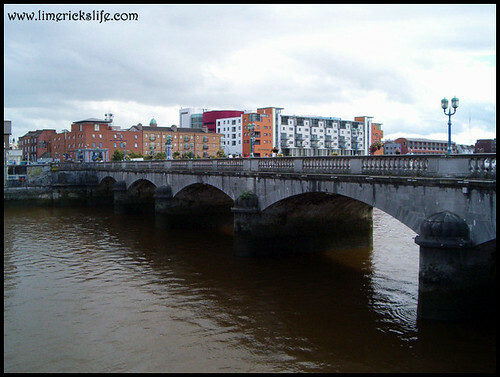 There are two boathouses off Sarsfield bridge, during Storm Darwin in March 2014 the roof was blown off the Limerick BoatHouse on the west side of the bridge. While there is a benchmark on the entrance to the Sarsfield Boathouse on the east side of the bridge. On the bridge is a monument commemorating the 1916 War of Independence. Which replaced an earlier monument on this site of Viscount Fitzgibbon who was reported missing in action after the Charge of the Light Brigade in 1854. The statue was blown up by the Irish Republican Army in 1930. 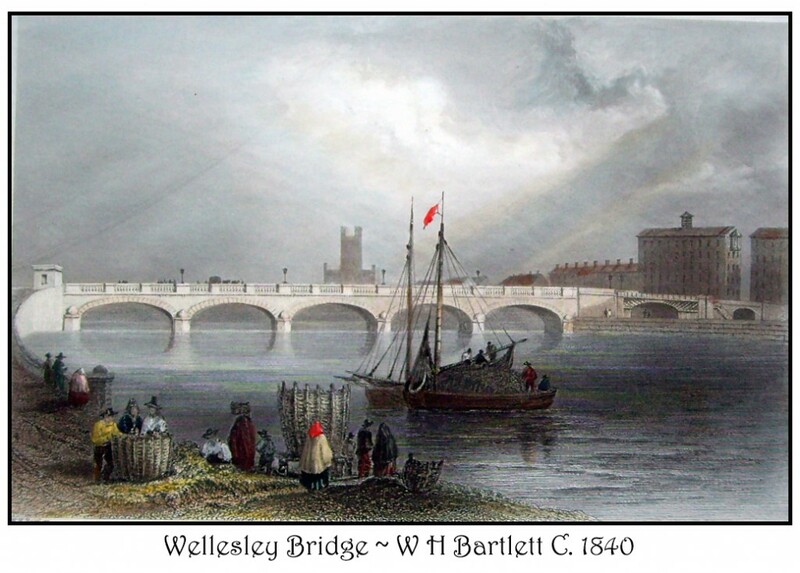 You can read more about the history of Wellesley Bridge in the Old Limerick Journal. 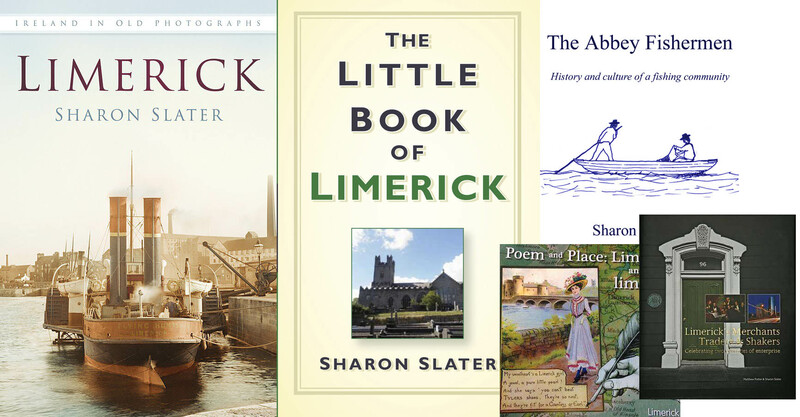 Below is a video of the Limerick, taken from Sarsfield Bridge.